Decadently rich dark chocolate fudge. 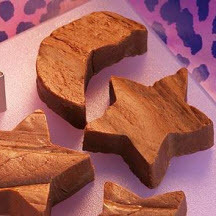 This is a fudge for serious dark chocolate aficionados. Line 8 or 9-inch square pan with foil. Butter foil; set aside. Combine sugar, marshmallow creme, evaporated milk and butter in heavy medium saucepan. Cook over medium heat, stirring constantly, to a full boil. Boil, stirring constantly, 5 minutes. Remove from heat; add chocolate chips and vanilla. Stir just until chips are melted; pour into prepared pan. Refrigerate 1 hour or until firm. Cut into squares. Store tightly covered in a cool, dry place. Makes about 2 1/4 pounds fudge.